Kenya is a signatory to the 2005 UNESCO Convention against Doping in Sports. Article 5 of the Convention states that, “In abiding by the obligations contained in this convention, each State Party undertakes to adopt appropriate measures. Such measures may include legislation, regulation, policies or administrative practices”. In addition to the above, Article 22 of the World Anti-Doping Code 2015 further specifies that each Government will put in place measures to enhance cooperation and sharing of information and data with Anti-Doping Organizations as provided in the Code. It is against this background that the Government of Kenya established the Anti-Doping Agency of Kenya (ADAK) vide Anti-Doping Act No. 5 of 2016 as a State Corporation. 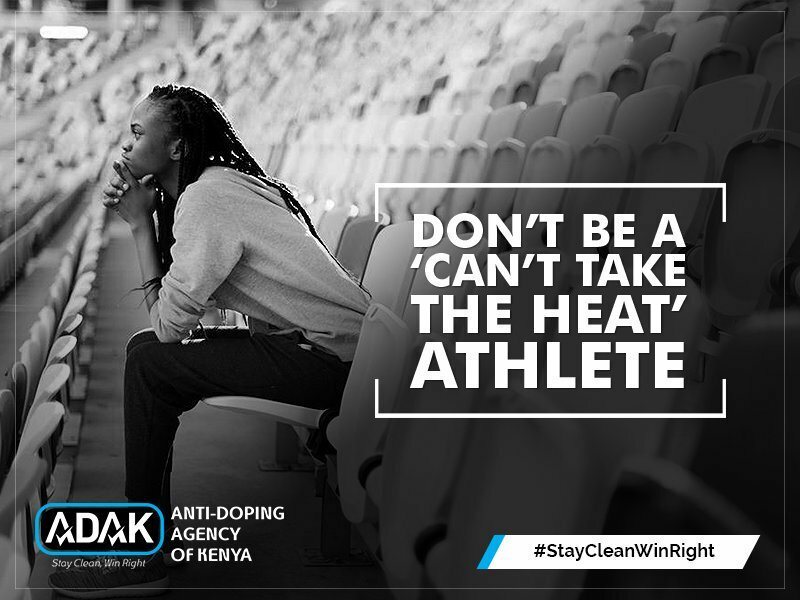 One of the key goals for establishing the Agency was to protect athletes’ fundamental rights to participate in doping-free sport and thus promoting good health, fairness and equality for athletes in Kenya. Values-based programs are organized to instill values as embedded by the ‘spirit of sport’ to children under 16 years. The Agency has partnered with Kenya Institute of Curriculum Development (KICD) to ensure that values-based education is entrenched into both primary and secondary schools’ curricula. Values-Based education deals with prevention more than deterrence in doping. 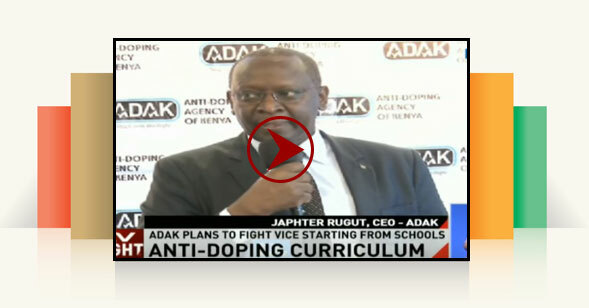 Research on anti-doping assists the Agency to strategically address and curb issues that propagate doping in sports. In order to fulfill the above, ADAK initially trained thirty (30) educators to assist in reaching out to the key stakeholders. Currently the Agency partnered with Anti-Doping Norway to retrain, refresh and enhance presentation skills to twenty (20) educators who work on voluntary basis to sensitize and share anti-doping information with the key stakeholders. Since inception of the Agency to date a total of 38,749 sports persons have been reached through anti-doping information sharing, values-based education and awareness campaigns. This involves planning for intelligent and effective Testing, both In-Competition and Out-of-Competition, and to maintain the integrity and identity of the samples collected from the point the Athlete is notified of the test, to the point the samples are delivered to the laboratory for analysis. To ensure testing is carried out as per the International Standards for Testing and Investigations (ISTI), ADAK has trained 52 sample collection personnel who collect both urine and blood from the athletes. So far the Agency has conducted 510 doping control tests between July 2017 and January 2018. At the same time the Agency has placed forty (40) athletes in its Registered Testing Pool (RTP). The RTP is a pool of highest-priority Athletes established separately at the international level by International Federations and at the national level by National Anti-Doping Organizations, who are subject to focused In-Competition and Out-of-Competition Testing as part of an Anti-Doping Organization’s test distribution plan and therefore are required to provide whereabouts information as provided in Article 5.6 of the Code and the ISTI. Athletes may have illnesses or conditions that require them to take particular medications. If the medication an athlete is required to take to treat an illness or condition happens to fall under the Prohibited List, a Therapeutic Use Exemption (TUE) may give that athlete the authorization to take the needed medicine. The process of granting TUEs is harmonized across sports and countries through the International Standard for Therapeutic Use Exemptions (ISTUE). The Agency has a panel of 5 members who are made up of 3 doctors, 1 retired sports administrator and 1 retired elite athlete, who make up the Therapeutic Use Exemption Committee (TUEC). This committee has undergone training and are responsible for receiving and processing TUE applications from athletes and granting them access to critical medical care while at the same time protecting the rights of clean athletes to compete on a level playing field. This process encompasses the timeframe between pre-hearing administration of potential Anti-Doping Rule Violations (ADRVs), Laboratory Analysis (or the collection of other evidence establishing a potential ADRV), notification and charge, through to resolution of the process. a) ADAK verifies that all the relevant requirements have been met to declare an Adverse Analytical Finding (AAF) or an Atypical Finding (ATF). b) The athlete’s contact information is reviewed and verified. c) An ADRV notification is sent to the athlete inviting them to respond within a reasonable deadline from receipt of the notice. The adjudication process (both first instance and appeal) is handled by the Sports Disputes Tribunal (SDT) for National level athletes. For International level athletes the first instance process is handled by the Sports Disputes Tribunal while the appeal is handled by the Court of Arbitration for Sport (CAS) which is based in Lausanne, Switzerland.